We are commited to the safety of your family, pets and the environment. At Bloom Pest Control we only use the most eco-friendly pest control methods available. 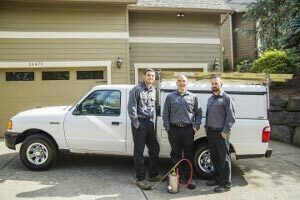 Bloom Pest Control Portland OR is proud to service the entire greater Portland metro area as well as Vancouver WA and surrounding areas. Bloom Pest Control – Portland Oregon is a locally owned & family run company. We strongly believe in giving our customers the peace of mind in knowing their job was done right the first time. Fast, affordable pest control and extermination with no long term contracts. 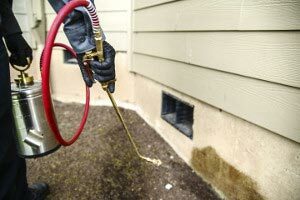 Bloom Pest Control is highly experienced in treating pest infestations and keeping the bugs out of your home. Our friendly & highly experienced pest control technicians will discuss your pest issues as well as formulate a plan to rid you of your unwelcome visitors fast. Call us today to take advantage of our same day/next day pest control services. We utilize an ecosystem-based strategy that focuses on long-term prevention of pests or their damage through a combination of techniques such as biological control, habitat manipulation, modification of cultural practices, and use of resistant varieties. The result of our efforts is the safest effetive pest control for your family, pets and our environment. Here at Bloom Pest Control we are happy to answer any questions you have and give you our expert opinion at no charge. We believe that you should have all the facts before you decide on the best course of action for your specific problem. Brent came by today to help me “take care of” the neighborhood of rats that has descended upon my chicken coop. Laid back, friendly, and very efficient, Brent instilled confidence in me that this is a reasonable problem we can solve. Not only did he tackle the issue in real time by setting bait boxes around my property, he chatted with me at length about longer-term strategy to reduce the rat draw to my coop. Also, I learned so much about rat behavior in our conversation! I’m grateful to Bloom (and Brent in particular) and highly recommend their friendly, competent service. Brent is my new hero! Discovered I was allergic to bees and had a large hive in my garden. Bloom and Brent went out of their way to make sure I was taken care of immediately!!! Cannot recommend this company and Brent enough!!!!! Thank you from Jackie and Seamus. I can’t begin to express how pleased I am with the work that Bloom did to remediate my crawlspace moisture problem. My house is built in a back-filled wetland (1969) and has always had areas of standing water in the crawlspace in spite of the two sump pumps I put in. Bloom trenched to the proper depth, put in drain pipe and rock and connected the system to a single, deep sump. There is no longer any water under my house, no matter how much it rains or how long I run my sprinkler system. The ground under the new vapor barrier they installed is finally drying out for the first time in the 25 years I have owned the house. Furthermore, Bloom quoted and carried out this work at less than half the price quoted to be by the well-known competition (who regularly advertise on TV). Bloom also did more corrective work, even including replacing some of my ductwork, than the other company had quoted. Customer satisfaction is our top priority at Bloom Pest Control. We value the opinions of our customers and welcome feedback on our services and products. If you’ve recently had us out to your property, we’d love to hear what you have to say! If you could click the button below and go to the review page to tell us how we did, that would be great!